Where Do Scientists Come From? Some people want to be scientists from the time they are children. Some people are influenced by scientists in movies and TV, or hear about famous scientists and want to be like them. Some people grow up with scientific role models, and some only come to science later in life, with lots of other experience under their belt. That’s me and my dad, somewhere between Oregon and Tennessee. He was a biochemist, but more importantly he was one of those rare people who does not lose their childlike curiosity about everything as they become an adult. My dad wanted to know how everything worked. How does a cell know to build part of a liver instead of a blood vessel? How do neurons build something whose topology leads to learning and memory? How did the building blocks of life first come together? How did the universe begin? I lost my dad this week. I still have an unread email from him, a link to an article about the inflationary universe and the new things we are learning about it. One of the things we used to talk about too was the importance of knowing your audience. My dad loved science but he didn’t only want to talk to other scientists, or to only discuss biology with biologists. He thought long and hard about how to explain things, talking and writing all the time about science. But he also knew that discussing an interesting topic with someone who has a different perspective than you so often leads to new insights and ideas. Talking about science shouldn’t be one way, it really has to be a dialogue to mean anything to either side. 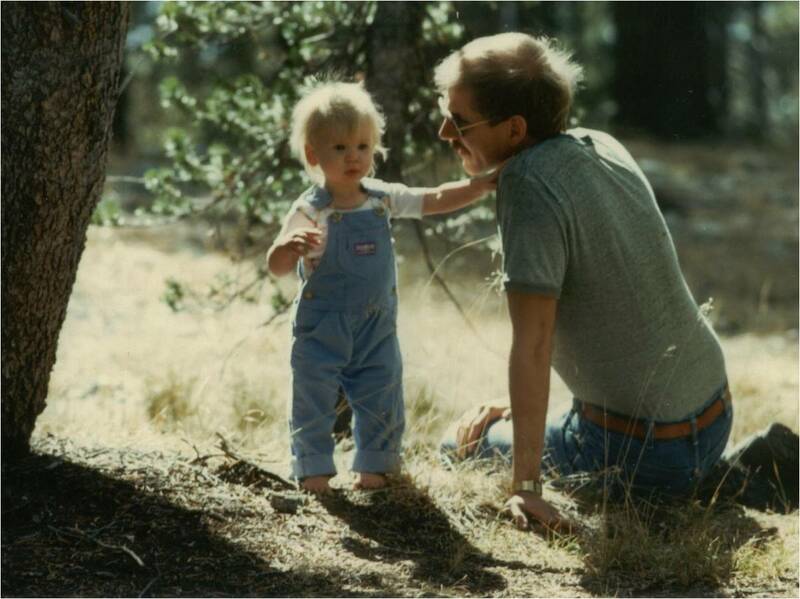 I learned a lot more from my dad than just science and how to communicate better. But I can say unequivocally that he shaped me into the scientist that I am, and even our jokes back and forth to each other were a huge part of what led me to do science comedy. Soon I will be going to London to receive the Institute of Physics Mary Somerville Prize, an early career public engagement award. 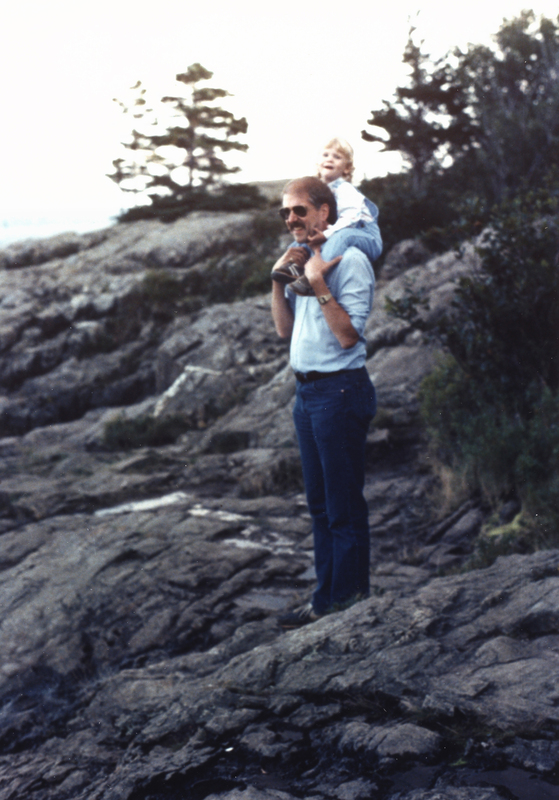 It is dedicated to my dad, whose love of science and the world around us I am proud to carry forward. I will miss him fiercely. The world around us is amazing, the natural world as well as the world of everything that we humans have created. And the deep awe we feel looking at the whole is only enhanced by examining the parts in detail. Many perspectives can be useful in this examination: the function and purpose of a thing, or its artistic merit, or the consequences it has on its environment. I have been trained to use the physical and scientific lens to look at the world, exposing beauty and intrigue that’s usually inaccessible. I recently finished a PhD in physics and nanoscience at the University of Pennsylvania, focusing on the transport of optically generated electrons in nanocrystals. I found the material fascinating, but I also found that I enjoy talking with many different people about both the science I do and other scientific topics. So, my goal writing here is to discuss some of the things I find interesting in a way that non-scientists can understand. We’ll look at some of the cool things that you start to see around you when you learn about physics, with an eventual focus on the electronic behaviors of materials. I will cover a lot of topics that I find interesting, from logical computing to sensors to bioelectronics. And I’ll go over some background topics, too, like atoms, mass, charge, and the weirdness of quantum physics, to show how electronic behavior also affects things like biological functions and the properties of materials. This affects the life of anyone with a computer, a mobile phone, or access to an Internet connection: more of us each day. It’s interesting to know a bit more about how the devices you rely on work. But it’s also another perspective on day-to-day life, and the more perspectives we gather, the more we’re truly able to see.